1 Our universal Catalytic Converters are suitable for cars in all types and meet the emission standard Euro2, 3, 4 or EPA, CARB. 2 All kind of three-way Catalytic Converter can be explored and produced according to the customers specific requirement or drawing 3 High flow converters Oval -producing enhanced engine response and better performance 4	Universal catalytic converters available for supply to distributors. 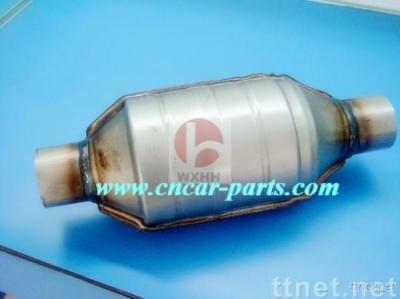 The price of our catalytic converter is quite competitive, Please contact us for further information, we will offer the best service for you.